No matter how you’re dealing with the real estate market, you need to be informed about the true condition of the properties you’re considering. Building inspections can give you a good idea on the value of your property and on what legal steps you may need to take. Inspection reports also help in planning renovations and maintenance. 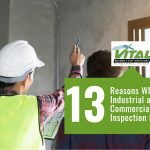 Our experts at Vital Building & Pest Inspections have compiled a list of the most frequently asked questions about building inspections, including details on the process, benefits, and costs. What should you expect from a building inspection? 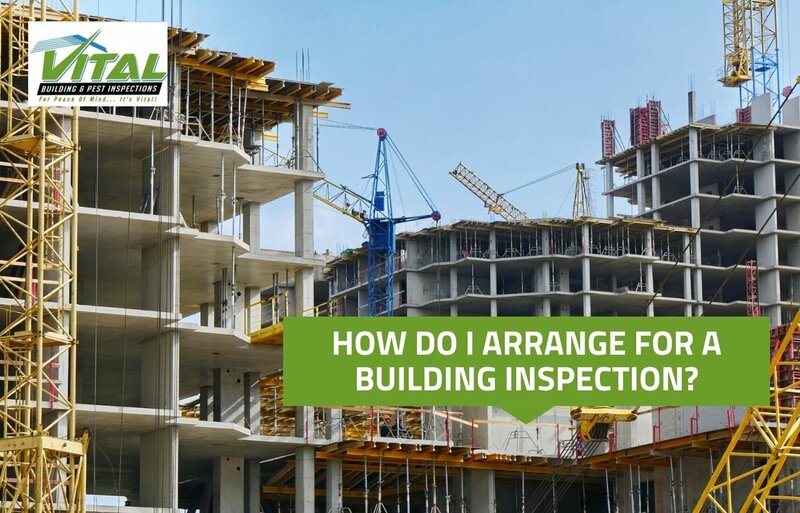 A building inspection involves the inspector visually surveying and characterising the property, including any structural defects or potential hazards. State-of-the-art instrumentation and software are sometimes used to fully assess the condition of the home or building. After the inspection, you can expect a standard-compliant inspection report from Vital Building & Pest Inspections via e-mail. This report will have the information you need to make a wise real estate decision, from purchase to renovation. 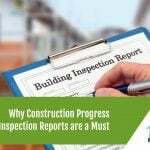 Why should I get a building inspection? A building inspection report provides the details needed to properly value a property. It guides homeowners and property managers on the appropriate steps to take when it comes to repairing defects and maintenance. It also protects you from the consequences of defects that you may not have noticed personally. Repairing a roof without having it inspected is possible. However, you may end up getting cheated and paying for more work because you don’t have a full report on what repairs are really needed. When is the right time for a building inspection? If you want to put your property up for sale or rent, it is best to have the building inspected before setting a price. The findings of an inspection report can influence the value of your property offer. However, building inspections can also be stipulated within a contract, in which case the date is already set as part of the transaction. How long does a building inspection take? Building inspections can be done thoroughly and quickly at no inconvenience. A home building inspection can take 1.5 to 2 hours for a typical residential home with three bedrooms. Inspections may take longer with bigger properties, but the experts at Vital Building & Pest Inspections are committed to working as efficiently as possible. Other factors which may influence the length of inspection include the age of the property and the number of problems encountered. When can I expect the building inspection report? The building inspection report can be sent to you as a .pdf file within 24-hours of the inspection. How do I arrange for a building inspection? A building inspection can be arranged 24 to 48 hours before the date of inspection, at the latest. To secure an appointment, it’s best to arrange for an inspection days or weeks before. We can arrange access to the property with the real estate or selling agent. Should I be there during the building inspection? Your presence is not necessary for the building inspection, but it is highly recommended so that the building inspector can explain any problems or the process in person. The inspector will also need access to the building. 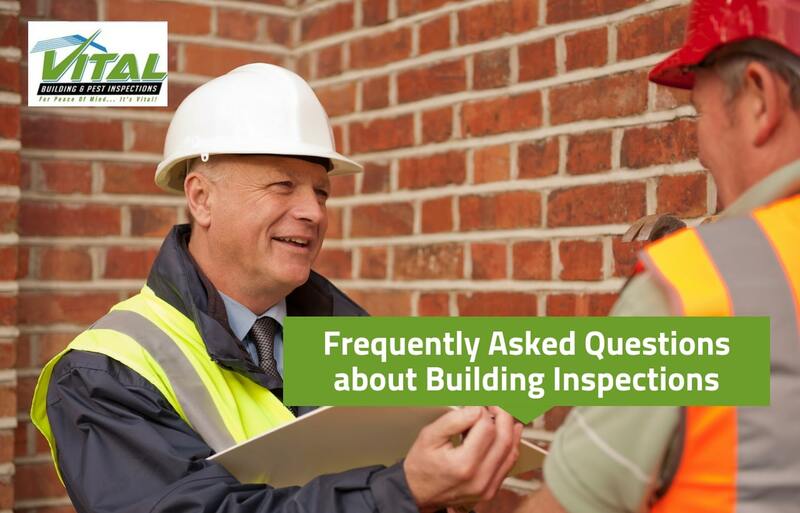 After the inspectors have conducted their survey, you can talk to them about specific issues or questions regarding future maintenance, repair or renovation work. If you are planning to attend, let us know so we can allot enough time for questions. In our 15 years of experience, selling agents are almost always present at the time of inspection. Is the roof space included in a building inspection? Yes, the roof space is included in a standard building inspection. We know that the roof space can be a significant cause of anxiety with the problems of leakages or infestation. However, please keep in mind that some roof spaces and air conditioning ducts are designed to have little space, making it difficult to create a full visual inspection. Is the sub-floor space included in a building inspection? Yes, the sub-floor space is included in the inspection as long as there is easy and unimpeded access for the inspector (for example, a hinged access door). Standard inspections do not include removing and replacing floor boards. Can I also ask for a pest inspection? Yes. Vital Building & Pest Inspections provides pest inspections on request. We also provide pest inspections separate from building inspections. Can I contact the building inspector after the inspection? After receiving the report, you may have some questions. Our friendly and professional team will be happy to provide assistance and clarifications. How much is a building inspection? The cost of a building inspection depends on the size, location, and age of the property. We offer no obligation quotes. Are there standards for building and pest inspections? Yes. Vital Building & Pest Inspections complies with all Australian standards regarding inspection of property. For example, the Australian Standards 4349.1-2010 and 4349.3-2010 state that a written report should be provided along with the inspection. Is there insurance for building inspection? Yes. 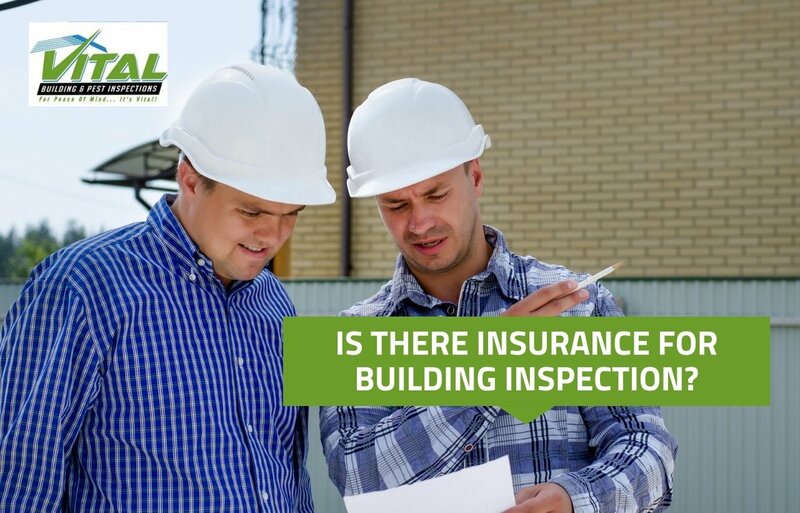 According to Australian Standards, all inspection companies need to have appropriate insurance at the time of inspection. In the event that a structural defect or major defect was missed by inspectors, you can be compensated for repairs by the inspection company or by the insurance company. Insurance is also one of the reasons why it’s important to rely on a building inspector instead of a non-professional contact. For example, even if you have a friend who is a licensed builder or who has experience in construction, their valuable advice may not mean much if they don’t have the insurance coverage to back it up. What are the qualifications of a reliable building inspector? Inspectors should know the ins and outs of constructing and maintaining property. 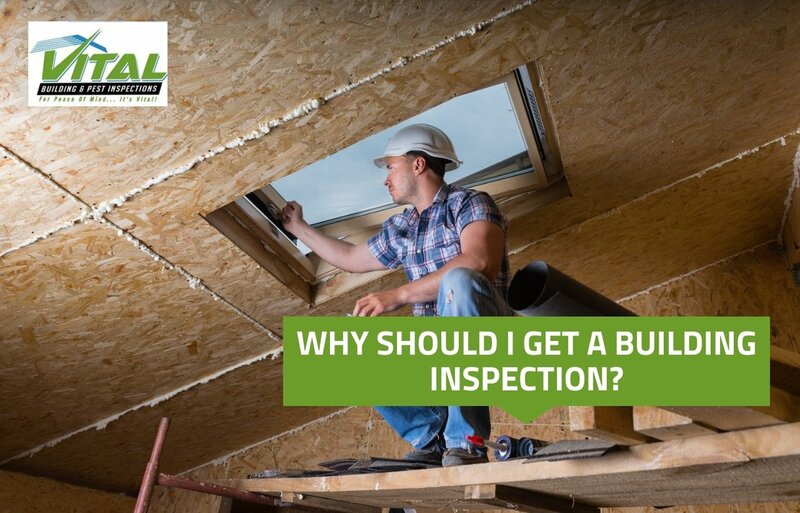 Here at Vital Building & Pest Inspections, our inspectors are licensed builders and are continuously training and maintaining certification to industry standards. Expert inspectors undergo technical training classes. Where can you go to have your building inspected? If you want peace of mind, you need to trust a reliable and expert building inspection company. For over 15 years, Vital Building & Pest Inspections has been providing fast and professional services to homeowners and building managers. Vital Building & Pest Inspections provides inspections for pre-purchase, pre-listing, new home, asbestos, strata, rental, property conditions, rental safety, dilapidation reports, and more. Call us now at 0401 012 074!